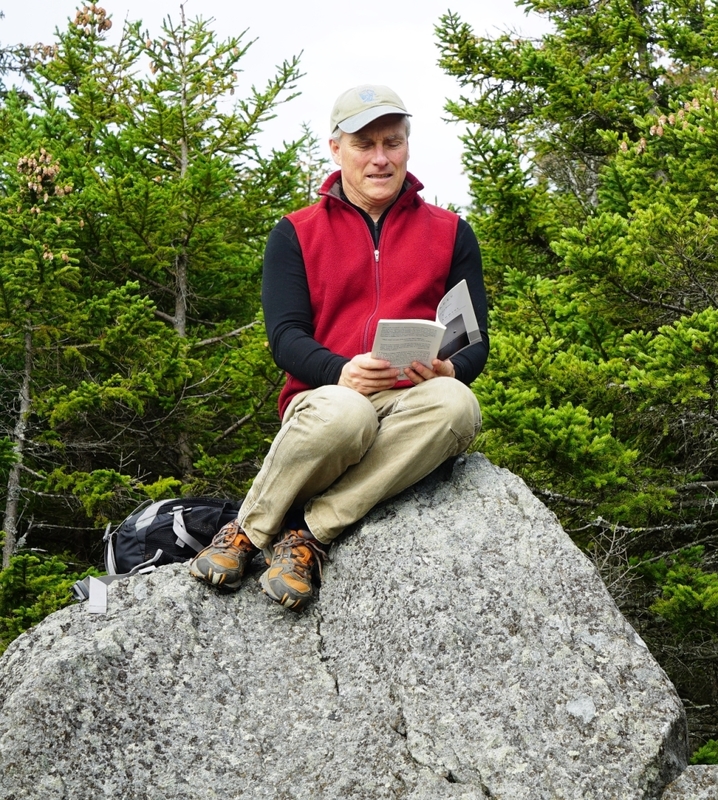 MPP&W BLOG | Monadnock Pastoral Poets & Writers | Where great ideas come to life. Magic of Monadnock Colloquium poster designed Keene State College student Jamie Halloran. 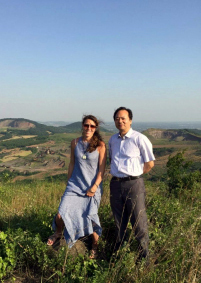 Geology has a way of grabbing writers’ attention, especially when that geology thrusts itself in a lonely fashion, a few thousand feet above a plain where lots of artists hang about as Maoshan does in China or Mount Monadnock does in New Hampshire. You, rare treasure of our time, oh, gone too young. Now your grave is covered with autumn grass. a suitable branch to hang it. 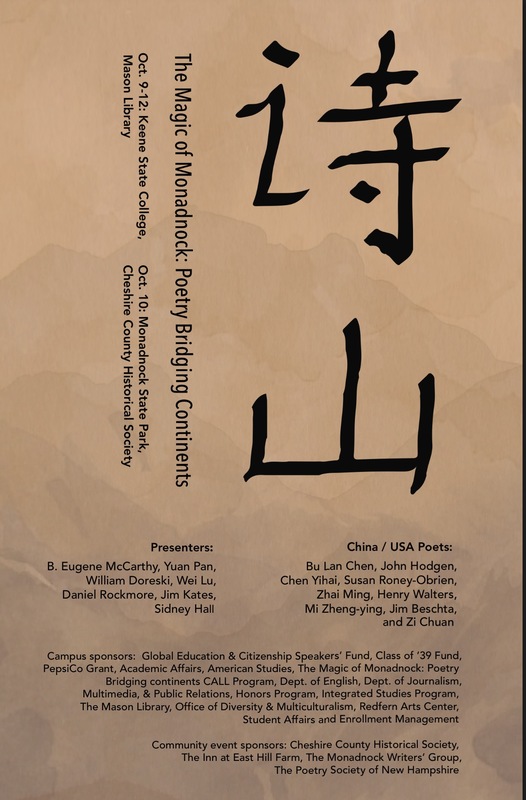 Therefore, on Wednesday, October 11, 2017, as part of the week-long Magic of Monadnock Colloquium: Poetry Bridging Continents which acted as a cultural exchange between poets from American and poets from China (despite three whom the United States Government denied entry visas—such has become the state of American leadership’s insecurity to any mirror image which does not reflect exactly like itself that it even fears poets ). 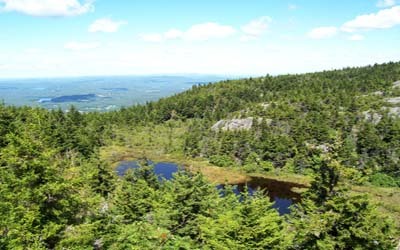 a group of eight led by Ranger O’Neal climbed Thoreau’s route to his rock not to the peak, determined to pay homage to the magic of this mountain in a place Thoreau himself had done so. but where here is the image for longing:…. 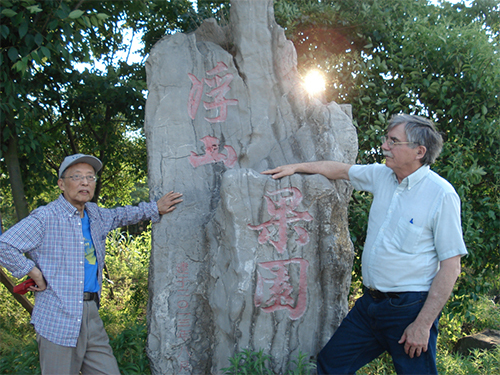 Indeed there was magic and longing at this granite outcropping as the nine of us read and listened to the words of these two American poets and then the words of Chinese pastoral poet Chen Yihai and finally the calligrapher Zichuan who read his calligraphy in the ancient way—that is to say–it must be sung. And Zichuan sang, and the song floated into the sky among the Vs of geese flying south and an autumn ablaze in color. 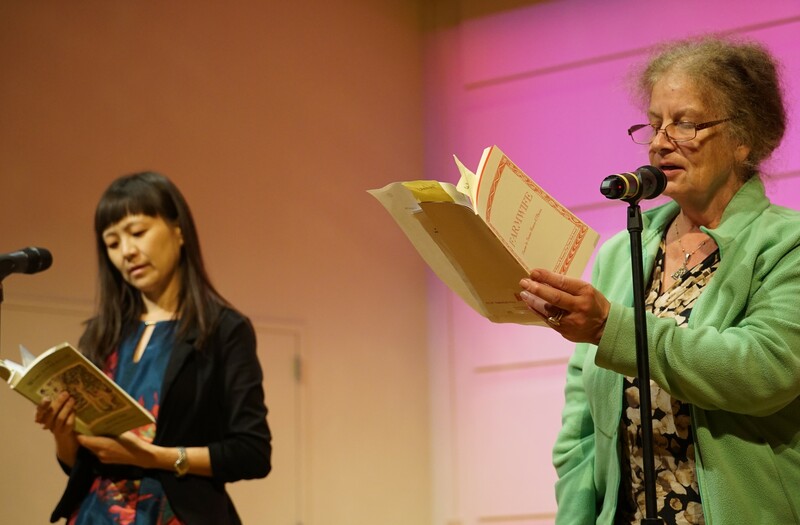 And so it was all week as poets, and lovers of poetry gathered around The Grand Monadnock for a week of poetry in two languages. It’s hard to know what state the state of poetry is in the rest of the nation, but the state of poetry in New Hampshire this past month reinforces why settling here over four decades ago was a decision that keeps on giving back. Two years ago, as I ascended or descended the stairways inside the Department of Foreign Languages at Shanghai University of International Business and Economics (SUIBE) I was struck by how each stairwell displayed a prominent quote in English by Henry David Thoreau. 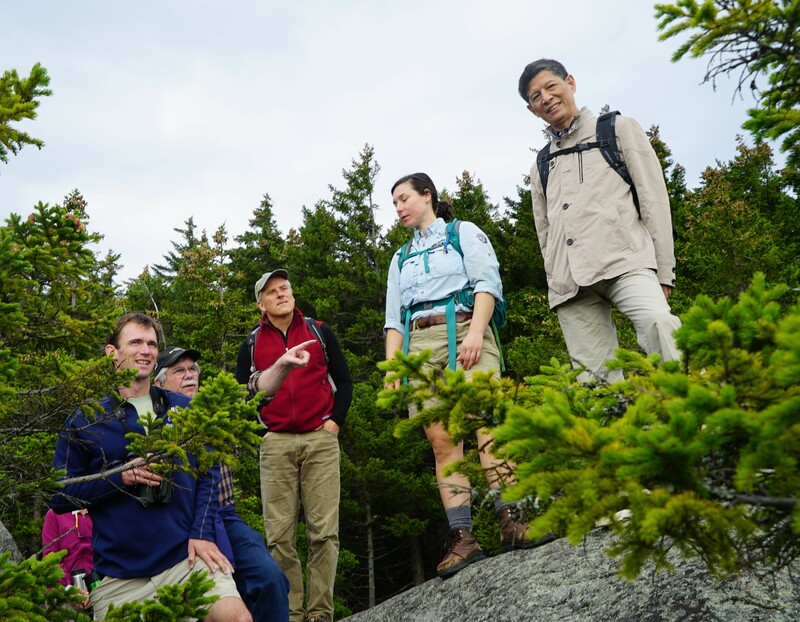 Whether those quotes were window dressings or carried weight with the Chinese citizens who also daily ascended and descended those stairs was amply answered when five poets from China accepted Keene State College’s invitation to visit the Monadnock Region and hike to Thoreau’s rock on Mount Monadnock. The earlier blog spot deals with that hike. 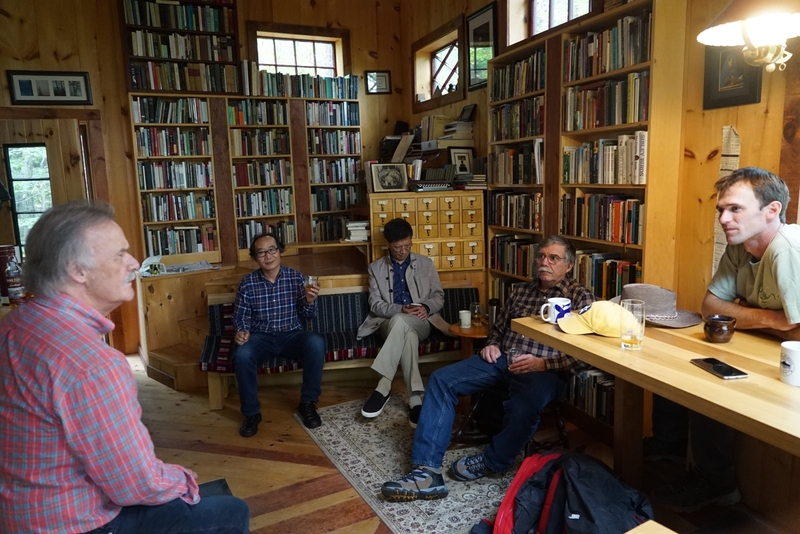 But the week was more than that hike, for example, exactly where else can one get 46 students, poets, and community members together to create nine-linked verses we call American Rengas. The renga is an Asian form of linked verse taught me by Boston poet Steven Rattimer at a New England Artists Trust conference decades ago. 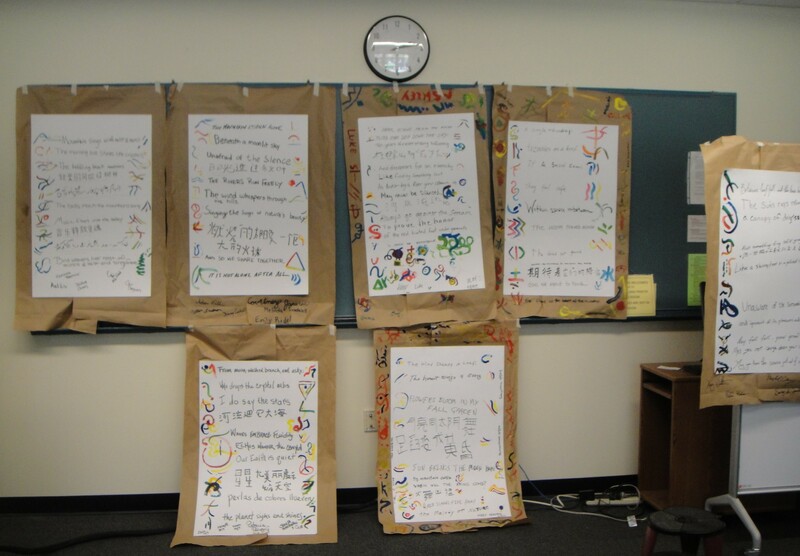 An American renga is an expanded form of that style which permits us to add color and art to replace calligraphy in lines of linked poetry created on the spot by a group of writers. 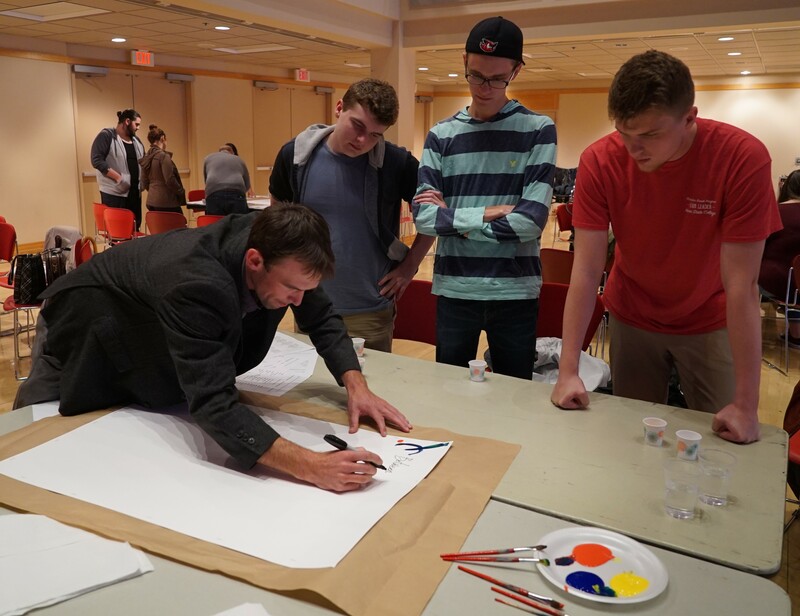 The process has a mathematical progression which allows each participant an opportunity to create equal lines of poetry and art in a joint verse. 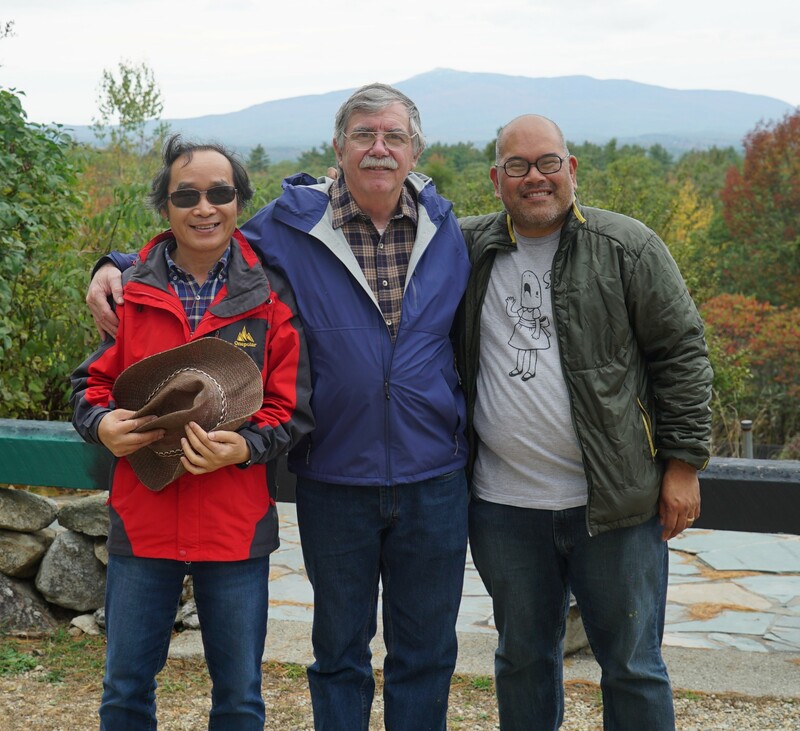 Also during that week the visiting poets got to mingle with a more modern-day American Thoreau-like poet named Henry Walters who resides in his own Walden-like creation on a rocky spine above the campus of the Dublin School. Inside Walters treated his visitors to a Brahms piano piece he played on an upright piano he somehow managed to fit snugly into his cabin. This is something the one-dimensional thinkers of Silicon Valley don’t quite understand—that flat screen depiction of reality is no more real than the cartoons of our youth. It may depict a picture of reality, might even sound like reality, but it is a miniature, flat reality. It doesn’t smell, feel, or taste like reality—even if down the road someone will try to add those features. 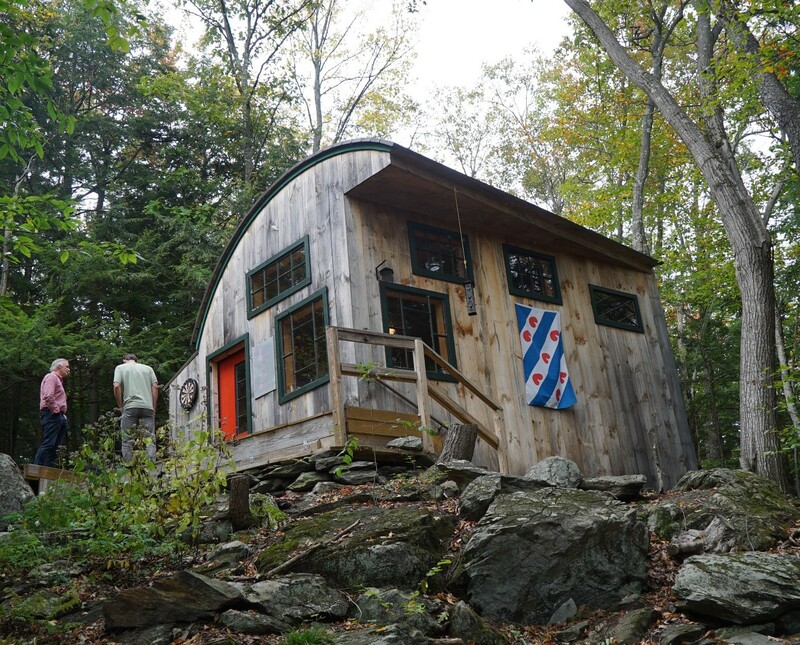 All the video in the world cannot replace the sense of sitting on Thoreau’s Rock and listening to one another sing poetry or sip tea in Henry Walter’s cabin as he plays Brahms. Earlier all gathered for an upstairs meal in the Keene building once owned by Thoreau’s mother’s family and a place he stayed during his Monadnock visits. Later we gathered at the Historical Society of Cheshire County to hear poetry in two languages and music by classical guitarist David Gru6under. Families even brought their children. Imagine, in Keene, New Hampshire, families bring children to hear poetry. And the children, as attentive as I, listened to those sounds of Mandarin and understood that definitions are only 30 percent of communication—the body delivering those definitions provides the other 70 percent. 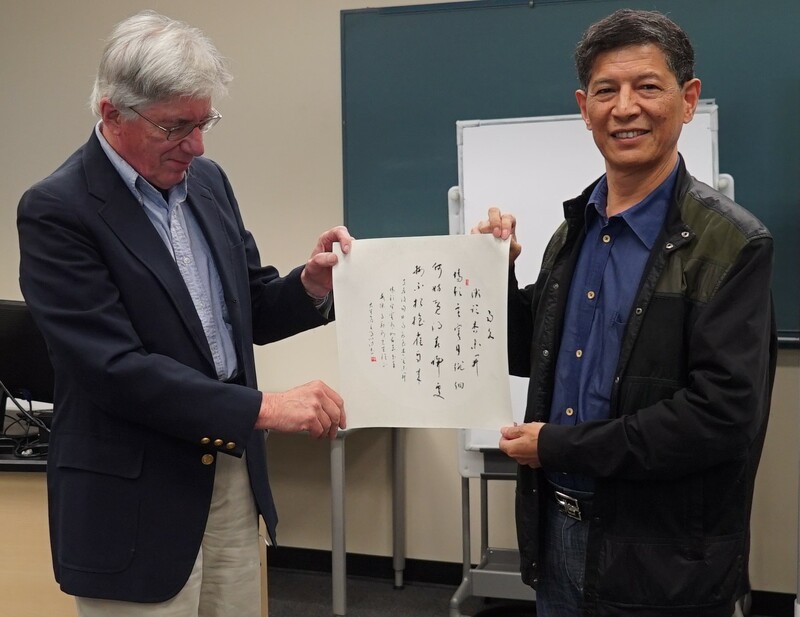 Poet Bill Doreski receives a calligraphy gift form poet Zi Chuan, Mason Library, 10-10-17. 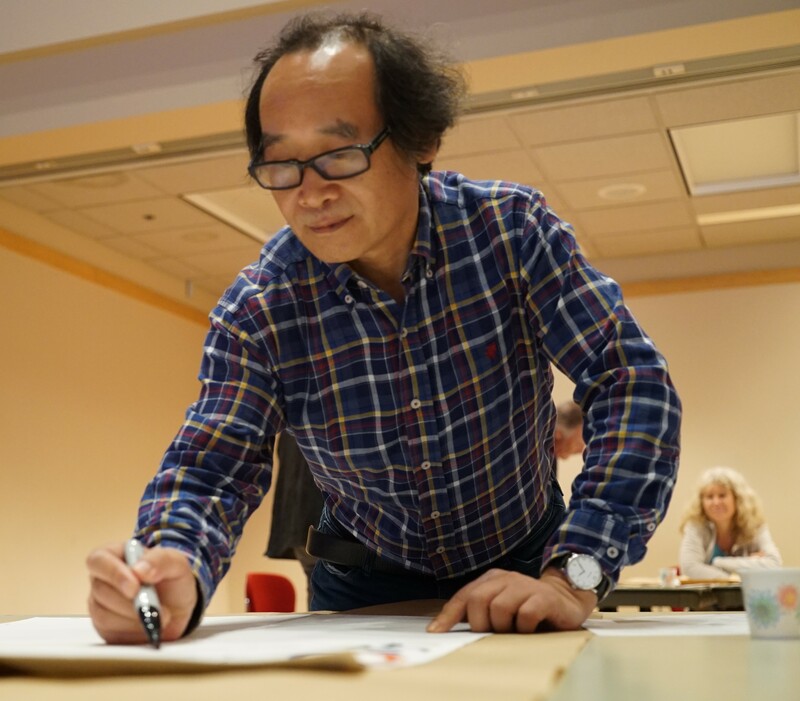 But after Chen Yihai and Zi Chuan returned to China, the poetry doesn’t stop in the Granite State. A few weeks later an e-mail came across my transom that New England College theater students and their director had created a theater piece titled “Allowances” using fifty poems of witness as its script. And there at the small theater in the only Henniker on Earth, I listened to a group of NEC students use music, dance, and song both poetic and literal to put to shame the idea that America is a white-bread frozen meal waiting to be popped into a microwave for a quick bite to eat. No, even the occasional forgotten line could not demonstrate more clearly that this nation is at its best when it’s a bubbling melting pot of stew simmering on the stove. on the icy surface of the pond. gapes near the pier’s springboard. where dry plants rustle in the cold wind. on the small boat with red dragonflies overhead. and she fell into the water. exposed the lines of her body. floating away in a boat. 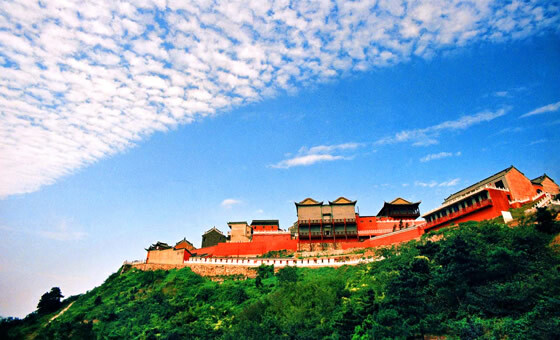 It refers to the second year when Zi Chuan came to the countryside. This entry was posted in Uncategorized on December 6, 2017 by admin. If one travels west from Shanghai on a bullet train to Nanjing along the inland plain (and yes, the bullet train comfortably reached speeds of 187 mph thus embarrassing our own Acela), into Jiangsu Province just south of the Yangtze River there is a string of stark hills visually striking enough to be described as low mountains. According to poet Zhang Min-gui, this was once an ancient seabed and though the sea has gone, its namesake river, the Yangtze, compares favorably to the Mississippi. It is one large, deep ponderously moving landscape of water and so near sea level that low hills make for a prominent landscape. At the top of one of these peaks not yet worn down by the river is Floating Mountain Tea Farm. It stands on the ridge of an extinct caldera hundreds of millions of years old. To get there one must, accompanied by poetry friends, drive from Nanjing, wind up a narrow concrete road, occasionally pull over to permit a puttering, one-lung farmer’s cart to sputter by, and then near the top, park and walk up a narrow lane between rows of ranked tea bushes until one reaches the weathered top of the ridge. Fragments of fist-sized and smaller pieces of pumice litter the earth. Despite a volcanic eruption as old as the Appalachians, maybe older, the evidence still remains fresh. The air is as clear here as it would be in The Blue Ridge, or Pennsylvania in June, so taking in the ring of hills composing this old crater provides a good sense of how massive the eruption had been. A large Mount Saint Helens comes to mind. I suspect there were not many surviving witnesses, and today only the pumice and the imagination remain, along with long rows of green tea. 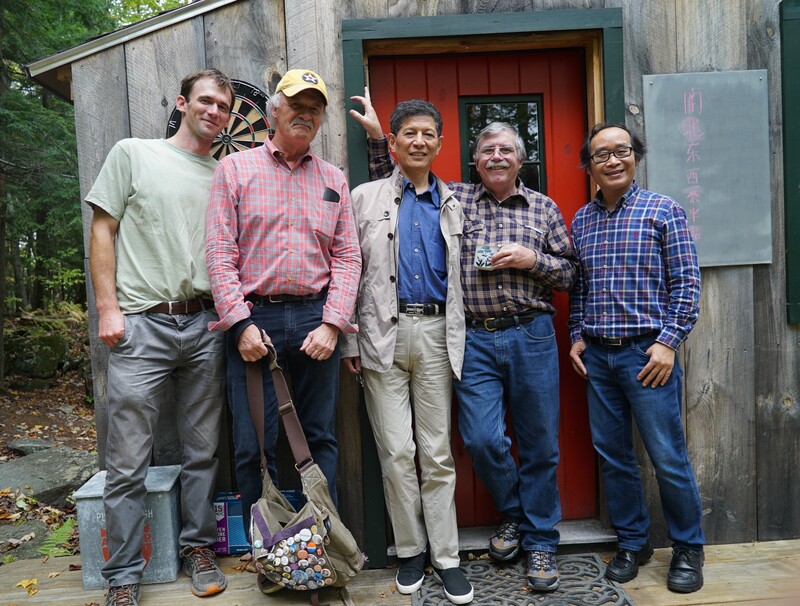 Poet Zhang Min-gui showed how workers picked the tea leaves off the tops of the bushes, then, back at the farm sheds, the farmers demonstrated how they cut, heated, and packed the tea for shipment. They then brought some freshly picked green tea into their sparse office for sampling. A rule picked up at the tea houses in Shanghai indicated one fills the tea pot with a full pot of boiling water and discards that first pot of water to wash away any harshness, then keep refilling the small pots with hot water and begin sipping the ever-more-mellow tea. and gaze at mist spun in from the sea. the smooth-grained polish of a captain’s chair. and between the rising twists of steam sips his tea. consumed lungs and cancered breasts. my brother’s ‘Dance on your grave’ scream. He knew only the triangle–earth, anger, and pain. your dirt, under your thatch, I learned what survival meant. And now age sifts itself to a nuzzle of fur. through clear, hot, liquid life infusing a soul with color. Into silver spoon and translucent porcelain cup. Which reminds me, my cuppa needs a refill, and we need to return to Jurong, China. Later that evening, after sipping green tea in the farm offices, the farmhands cooked and served a typical banquet right there in the sheds. This is a working farm where a few hours before rattling machines were cutting up tea and dryers drying tea so when fine porcelain and glassware appeared I wondered where it had been kept. I suppose when a culture has a five-thousand-year history, it learns that one shouldn’t always keep fine china three meals a day locked behind a gated community wall—though I suspect China has just as many billionaires as the U.S. who somehow convince themselves that gold-plated cutlery can replace community. 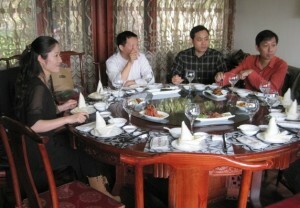 Banquets in China are in the round, sometimes 14-18 people at a table with a giant Lazy Susan in the center where all dishes are placed and one simply spins the Lazy Susan picking off whatever edible one chooses as it slowly twirls by. The variety of dishes is astonishing and it is best, if the Western visitor likes how something tastes, eat. Don’t ask. Banquets are also the occasion for much toasting via rice wine, the China equivalent of scotch or bourbon, or vodka here. The only question one must ask if engaged in serious toasting is how much of the next day is worth losing. 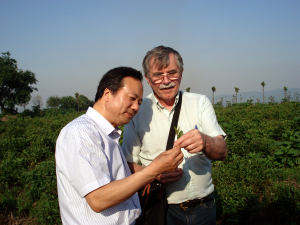 Poet Zhang Min-gui examining a tea leaf. That evening, after the eating and toasting concluded, we walked out into the night air and discovered enough clarity that a full moon, Jupiter and Venus all could appear through the haze in a perfect end to the evening. In the photo that opens this entry you will see the calligraphy etched into the rock which states “Floating Mountain Tea Farm.” But even more so, this excerpt from a poem by Zhang Min-gui gets closer to what All The Tea in China is really about. It brings spring to your heart. This entry was posted in Uncategorized on September 28, 2015 by admin. But it was and is the last poet of the day that demands focus. Henry Walters is just 30, and his first book, Field Guide A Tempo, will come out in a few weeks from Hobblebush Books Granite State Poetry Series. (A plug rather than a pun.) I wanted to hear this poet live, in front of a breathing audience. Walters is a birder—no more than that–a falconer, a musician, a classics graduate of Harvard–and lives in a Thoreau-like cabin in the woods above the Dublin School in Dublin, N.H., likely with a fine view of Monadnock itself. In some poems, he uses that precise nomenclature of the birder not to describe birds, but to observe humans, leaving the reader or listener with the distinct—and rather eerie– impression of being transported inside the head of a raptor and experiencing yourself observed by the calculating eye of a an entity at the top of his or her particular food chain. An entity not hungry but aware that down the line he might become hungry. Many poets would stop there, justly satisfied with the craft, but not Walters. He then layers all his poetry with musical structure. And why not? After all poetry and music are, if not identical twins, at least fraternal twins. When the Irish ask a poet to “Give us a song.” They expect words that sing. Walters’ words sing. If a poet can go much farther, I’m not sure where or how. Perhaps the Eastern Culture which I’m not saying Walters might not tackle next. Had this been the end of the day, I would have been satisfied. But it wasn’t. Finally, came the moment I had waited for, the voice itself. Does he speak his poetry with the same conviction with which he writes it? If you think I’ve been hyperbolic before, patience. Seven poets had read, many with song lilting off their words. For an hour or so a large hawk had been circling the half shell above the lawns. Poets spoke, poets sang, the hawk rode the thermals. But as Hobblebush publisher Sid Hall introduced the final reader, Henry Walters, the hawk descended and perched on the edge of the half shell roof–a healthy, large, young redtail. It perched quietly and eyed all of us on the lawns until Walters took the stage and then it slowly flapped away. For the life of me, it was if Virgil in the guise of a hawk had come down to consecrate this moment, to let us know there are many stars in the poetry galaxy, but this one is a comet. Does he make his words sing? You be the judge. Listen to the three poems which won Walters the online journal Better #5 2014 poetry contest. Hyperbole? Maybe. Perhaps it was one of Walters’ hawks recognizing him from the past, but no one will convince me it wasn’t Virgil reincarnated introducing Henry Walters’ first book of poetry to the world. If you love poetry, remember this day.